Mothers should always make a serious effort to get a clear comprehension about money and all this includes understanding how much money should be earned in a household and how much should be spent in order to maintain a firm balance between expenses and income. Mothers usually have a full treasure of information on various things like healthcare, cooking, maintaining tabs on whether or not you’ve cleaned your room and about every single thing under the sun apart from money. Somehow it has always been noticed that money was the realm of the father or the so-called head of the family. If you’re a mother who’s reading this article, don’t you feel you should know how you can become a money-wise mom? If you still couldn’t become a money-wise mom, here are few financial tips that you should take into account. This just means that mothers should invest the time and effort to understand about their money. This step actually starts with understanding how much money is earned by the household and how much money is being spent in the important expenses. How much money is being saved every month? Even if it is being saved, how is it being saved? Are there ways in which your household money can be spent in a better way? Considering the fact that how much uncanny mothers can get when it comes to understanding the depth of things, this step would be easier. The second step that you should take to becoming a money-wise mommy is to discuss money either with your husband, friends, children or family. All mommies need to take the effort to initiate conversations which entirely revolve around money with their family members. Having a serious conversation with your partner is of ultimate importance and this leads to the potential to understand money in a deeper sense. Have a knowledge sharing session so that you can both educate yourselves on money. A mother also needs to understand the science of investing as it helps planning finances in a better way. The step will be the ultimate one in making mommies money-wise. If a mother has already followed the above mentioned steps, she will definitely be able to this step effortlessly. You should plan your investments in a wise manner and also be involved in the actual act of investment. Once you start getting involved in all such investment decisions, you can have different aspiration for kids and you will also become a strong lady at the same time. So, now you know that there are just 3 steps for you to become money-wise. The steps are easy-to-follow and straight forward to adopt. All mothers who arm themselves with this kind of fiscal suaveness can bring a new dimension of confidence that you can pass on to your kids. We often promise to our spouse, “For better or for worse, for richer or for poorer” while getting married. But how many of us live up to this pledge in a marriage? But unfortunately, majority of the couples fail to survive either richer or poorer due to bad money management skills. There are some couples who stick to their personal way of handling money which might or might not match with your spouse’s. There are some spouses who even cheat, lie and overspend and this leads to all the mistrust in the relationship. There is always hope for you but you need to take immediate actions. Money management can be rewarding to bond with your loved one. Here are few tips that the newly-weds can take into account if they want to keep a tab on their finances.
? Keep talking about your finances: Before marriage, it is best to talk with your spouse about your finances as soon as you can. You will need to discuss about the accounts that you have and how much debt you can carry. This will also clear up how much money you can expect to be handled. Inform your spouse if you anticipate him to discuss purchases which are above $100 and ensure both of you have good understanding.
? Write down the financial goals you share: Once you’ve determined your current fiscal status, discuss the long term goals as well and plan the right time to retire. Which of the financial goals do you share with each other? Do you both believe in sticking with a budget? Do you both believing in both of you working or on a one-income family? The more goals that match with each other, the better will be your chance to achieve success.
? Build emergency fund together: If you already don’t have an emergency fund, make it a top priority task. The money that is set aside in case something costly happens like family illness, lost job or natural disaster or a home repair. Save up to 6 months of your household expenses so that you can keep spending money even when there’s an emergency.
? Have money meetings in a week: When you have weekly meetings on money with your spouse, this can help you both stay on track. While you both sit for meetings, discuss how your budget would look for a month. If there are approaching bills that you pay, how should you manage the financial goals and everything else related to money? Such meetings are usually great as they strengthen communication within the spouses and increase the level of trust.
? Save enough for retirement: Whether you’re married or not, you always need to ensure you have enough to keep going in the long run. You need to save for your retirement and in case you work with a company, you should definitely save money in your workplace retirement fund as that is the best way of securing your golden years. Ultimately, whichever steps you follow, you should never stay in debt. Whenever you accumulate debt, be sure to take immediate steps to repay the debt amount. The more you stay in debt, the harsher will be the impact on your credit score. Mush alert: Are you taking these financial considerations into account before you start dating? Before the mush meter hits its high, stop and think! Stop to think about your finances. Stop to think about your expenses and of course your savings. Couples mostly don’t think about the financial changes that take place after they start dating. So, we are going to do just that. No. we’re not giving precedence to money over mush but definitely asking you to spare a thought. Money ends relations – even the sweetest of them. So, there’s no reason why you shouldn’t get your “financial” act right before saying yes to mush! So, read on in order to be duly acquainted. Are you chalking out the “monetary” rule of thumb with your date? It is actually quite impractical not to take the financial considerations at all into account when you start dating. Why on earth should there even be an iota of doubt if your partner asks you to split finances when you are spending on any form of entertainment? 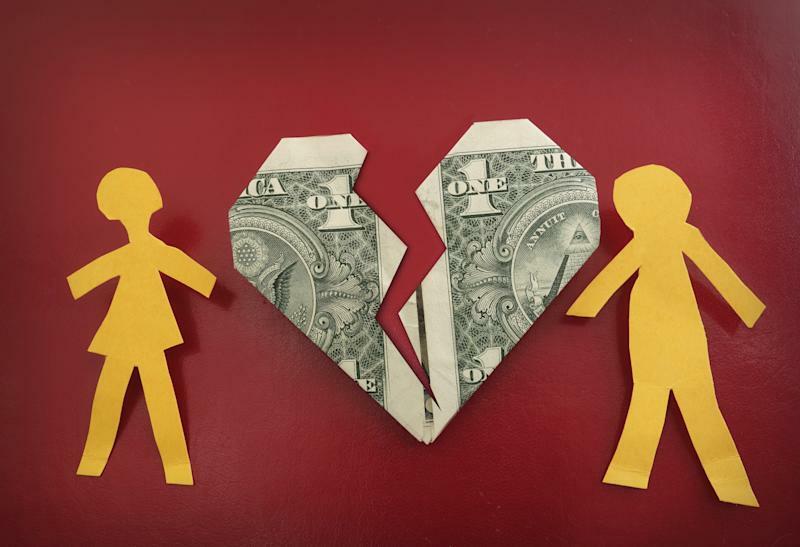 Can dating drive you into debts? Yes, it can. If you are too swayed by your emotions.. if you are splurging indiscriminately then don’t be surprised if you find yourself falling short of dollars in a few years time. How fast or slow you fall out of your fortune will depend on the kind of fortune you have and the kind of propensity you have for spending mindlessly. Occasional chocolates, roses, fitness gear and earrings don’t cost much. However, if you are finding yourself spending on movies, restaurants and night-outs almost four days a week then you can quickly find your financial condition spiraling its way out of your control. Don’t let that happen. In fact, if your partner is unwilling to contribute equally then you can jolly well treat it as a red flag which will assume a monstrous shape in future! The semester is well underway and it is pretty exciting time for all the college freshmen. While there are many who are navigating their new campus environment, learning how to live independently without their parents, creating social circles, some others are busy wondering how to manage their own finances. College has become a synonym among young people assuming a graver responsibility for handling money, away from the reliable security of their parent’s wallet. Not everyone is able to handle money in a proper manner and since college life is the time to taste financial freedom, there are many who start misusing their dollars. They are the ones who soon end up in credit card debt or student loan debt. College students should actually learn the art of living on a budget if they don’t want to see themselves drowning in a sea of debt. You should keep in mind that the key to financial success is remaining aware of how you’re spending your money. Learn the difference between being cheap and spending savvy. Here are some valuable tips to follow by college students who are looking forward to set their future.
? Create a frugal budget: This is one of the most important points to keep in mind. List down the sources of your monthly income including wages, savings, allowances from parents and then jot down the predicted expenses for a specific month. Although it’s not too easy to recognize college living expenses, still you should try. Include costs like school supplies, food apart from your regular meal, laundry care and personal care items. Without managing your budget, it is impossible to track your expenses and stay within a limit.
? Differentiate wants from your needs: Is a $40 a week for gas a ‘want’ or a ‘need’? What exactly should you budget for non-planned food? How much should your laundry cost you? Once you spend a few months on college campus, you will get to know the exact expenses and then find it easier to differentiate between wants and needs and put your plan into action. Don’t indulge too much in ‘wants’ as they can be done without. Focus more on your needs.
? Don’t abuse your credit cards: In the year 2014, 85% of undergraduate students owned at least one credit card, as per a research by the International Journal of Business and Social Science. College should be actually considered as the best time to start building credit but at the same time it is very easy to accrue huge amounts of debt while in school. It is vital to understand the striking difference between overextending and credit building.
? Do your research on financial aid and loans: College graduates usually face a tough time while balancing their ever-growing education loan delinquencies against their declining income. You need to understand about the right size of student loan debt and what it may amount to after graduation. Not only that, you should come up with a plan to repay it on time. Even if that may mean staying with your parents for a short span of time, you may even do that to repay your debts. College education can be expensive if you don’t know how to manage your money and loans properly. Student loan debt is currently the most talked-about topic in the finance industry as it has already reached an alarming level of $1 trillion. If you don’t want to follow the herd of students saddled with student loan debt, be sure about taking the right financial steps. Don’t forget to save money to move ahead and reach your financial goals. To start off with—- brides, who are mulling a change of surname post marriage should visit their respective Public Accountants (Certified). Once again it might turn out to be one of those “drab” duties before marriage but it’s important to notify the government of a possible surname change as soon as possible so that once the tax season arrives your papers are ready with your changed names. For instance, your Social Security card must reflect your name change. On top of that it’s also important to notify your address change to the concerned authorities in this regard. It is equally important to know that your tax filing status would change post marriage. Joint tax filing is an option often chosen by couples. Please make sure that you are duly discussing with your tax consultant in this regard and remember that if you wait for the last moment for making changes then it would only lead to chaos. From the complicated to the comparatively easier. You won’t need the help of a financial advisor for following a few simple steps with regard to the management of your personal finance. Post marriage both of you will be earning. But try living on one person’s earning and save the remaining amount. One of your partners might be laid off, he/she might want to quite his/her job and start a business. One of you might even want to get back to school to complete a part-time or a full-time course. Therefore its always advisable to prepare a family budget based on a one salary instead of two. Consider Purchasing an Insurance Policy. All you newlyweds out there consider securing a life insurance policy. This is one of the most crucial stages to consider an insurance cover. Now one of the major concerns at the back of your mind would be about the future of your spouse in case you die. This makes you more responsible as a financial planner for your family and securing a life insurance for the safe future of your family is the first step towards fulfilling that responsibility. There are a few factors that you should keep in view while availing the policy. You’re earning, debt to income ratio; present volumes of debt are just some of those factors. Don’t Overspend: Coming back to the basics. Stick to a budget. Don’t overspend. Just because you are newly married there’s no need to splurge on new furniture, dresses and other such gifts. Instead, spend the money for clearing off present debts and bills. Provide a remarkable start to your married life by following these few tips! Graduating from college is a milestone that leaves many students overwhelmed with finding a new career, managing monthly expenses and paying off student loans. Finding a solution that allows you to manage your money wisely is the best way to start a new career, and an independent lifestyle, without accruing more debt than you can handle. Learning which steps to take to create a new home and new life, and which to avoid, helps you avoid some of the most common mistakes that new graduates make. Setting up a new apartment is one of the first steps that you will take after college. It is important to take the time to decide which items you really need to purchase, and which can wait a little longer. For example, you will need furniture, but a top of the line television is a luxury that you can put off until you are a little more financially secure. It is also important to look at your weekly budget for food costs and entertainment. Setting a budget for food, drinks with friends and other non-necessary expenses can save you thousands of dollars a year. You can also take the time to learn new skills, like cooking, that can help you stretch your money. Cooking meals at home is one of the simplest and most effective ways to cut spending. Debt isn’t always a bad thing to have. A manageable amount of debt can be an advantage when you make payments on time. Making payments on time allows you to begin building your credit score, which will assist you in buying a new home or car in the future. Just make sure that you only take out loan amounts that you can comfortably manage to ensure you aren’t overwhelmed by the monthly payments during the first months after graduation. Saving can seem challenging to new graduates but this step is one that you shouldn’t skip. Even a small portion of your income can make a big impact on your retirement or emergency fund over the course of several years. Start by investing about two percent of your income into a savings account that is set aside for emergencies, such as unexpected car repairs, then switch to investing in your retirement account. You may want to research your options before choosing an investment account to find the best returns on your investments. One unexpected aspect of being financially independent in keeping up with and organizing paperwork. Choose to use online statements and automatic payment options whenever possible to help reduce the amount of paperwork you need to organize at home. Not only will paperless options cut down on clutter, automatic billing and payments taken directly from your account ensure you make payments on time without the hassle of sending a check. By planning your finances carefully and prioritizing spending, graduation can be an exciting adventure instead of a financially stressful event. Begin planning your financial future early to be confident that you are prepared for your new life as a recent college graduate. Daniel Ramos is working for Garden Savings bank. He loves to blog and offer people advice on their personal financial issues. When he is not blogging, he enjoys writing for his own finance blog.